Shaving body hair can be a time consuming and arduous task. In spite of this, it has become a frequent grooming routine in modern times. Much of this has to do with what a hairless body portrays. Having no body hair exudes youth, attractiveness and not to mention, good grooming habits, nowadays, every man needs the best body groomer. Whether or not to shave body hair is a matter of personal preference. However, a hairless body offers many perks. For instance, most women like it when their men shave those ticklish body hairs off. The reason for this is that hair can be an impediment to skin sensation. For body builders and weightlifters, shaving also allows them to show off the contours and definition of their muscles. In addition, swimmers find that the lack of body hair makes them lighter and faster in the water. Even if you’re not an athlete or don’t have a gorgeous physique to show off, shaving body hair can potentially solve the embarrassing issue of body odor. Hair generates heat, which leads to sweating and body odor. Although body hair itself doesn’t smell, it reduces the amount of air exchange on the skin and traps sweat. This in turn supports growth of odor-causing bacteria. The benefits of shaving body hair are no longer a secret. As a result, the fashion world and mainstream media have embraced this trend. In fact, you’ll rarely see pictures of female celebrities with hairy underarms or male models with a chest covered in hair appearing on fashion magazine covers. And as this modern day fad rages on, many grooming products have flooded the market. The most common being body trimmers since men have the most body hair to shave. Trimmers for shaving body hair are not created equal. So, if you’re looking for the best body hair trimmer, it’s best to go for a reputable brand. With that in mind, here are some of the top choices designed to make manscaping or body hair removal an easier and more convenient grooming task. The Body Groomer line from Philips provides several body hair trimmers to choose from, with series 3000 being the company’s entry-level trimmer. By choosing this trimmer, you’ll have a grooming accessory that’s easy to use, requires low maintenance, and delivers a smooth, clean shave. All of these benefits are courtesy of the features that this Philips body groomer/shaver has to offer. To begin with, it has a water resistant body. This allows for wet/dry usage as well as easy cleaning under tap water. The trimmer’s hypoallergenic foil on the shaving head and patented pearl tips on the blades both reduce skin irritation after shaving. In addition, each package comes with a comb that trims hair to a length of 3-mm. Trimming without the attachment delivers a skin-tight shave. For a body trimmer, the Philips series 3000 body groomer is very easy to handle. It’s compact enough to reach different areas, including the chest, abs, armpits, legs, crouch area, and shoulders. The trimmer offers up to 50 minutes of cordless usage but requires about 8 hours to charge. It also comes with a charging stand that doubles up as storage case. 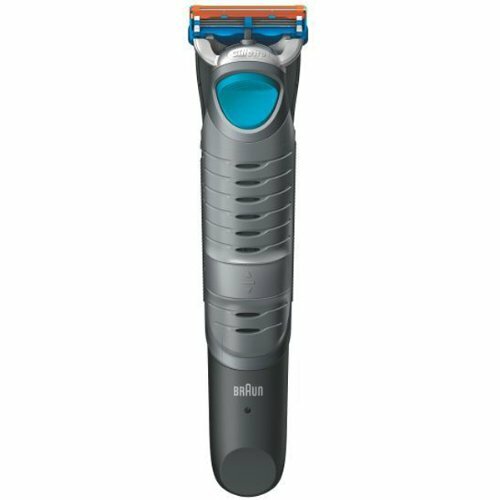 The Braun Cruzer6 deserves to be on the list of best body hair trimmers on the market because of the many useful features it offers. When it comes to performance, you can count on this trimmer to deliver a clean and smooth shave or trim down body hair to different lengths. It has three trimming combs, which allow you to leave 0.6, 3, or 8mm of body hair. 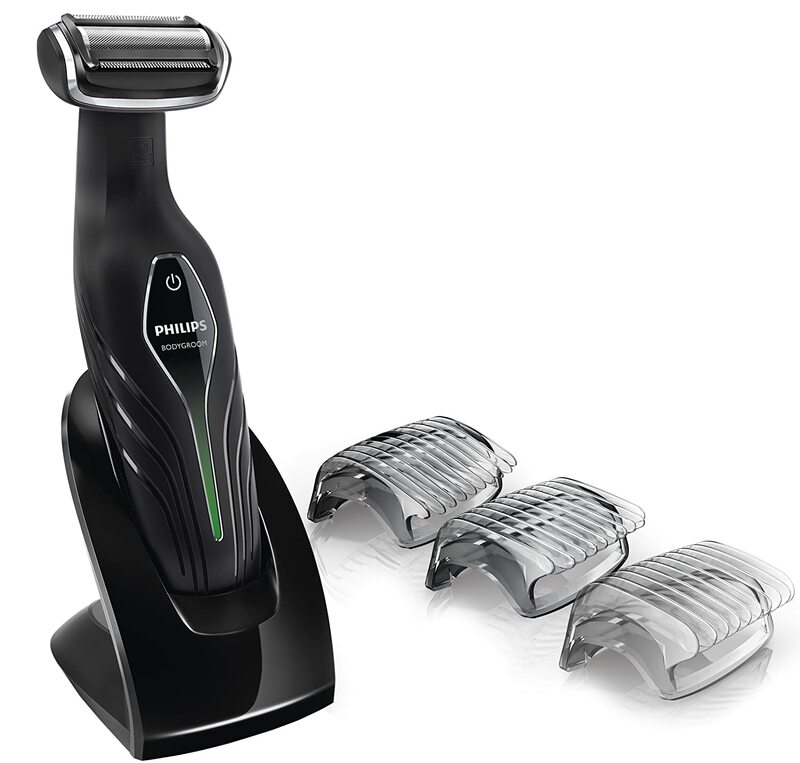 This trimmer features five integrated Gillette Fusion Razor blades with small trimming teeth. As a result, the trimming head shaves cleanly and smoothly, and trims to your desired length without causing nicks and cuts. What’s more, the ergonomic design lets you shave with comfort. One unique offering that this body trimmer features is the trim and shave mode. With one stroke, it can trim and deliver a clean shave. The combination mode comes in handy when you want fast results. As an added benefit, this body trimmer is fully enclosed. This means it’s ideal for use in the shower or dry shaving. Being a cordless and lightweight body trimmer, the Braun Cruzer6 allows for easy access to most parts of the body that require shaving. Users get up to 50 minutes of runtime, but the battery takes 10 hours to fully charge. The LED indicator light makes it easy to know when recharging will be required. For users who like to travel with their grooming accessories, Braun offers this body trimmer with a soft carry pouch. With the Philips 5000 body groomer, users get all the features offered in the previous series 3000 model. This means that you can expect this model to have standard features from the Body Groom line such as a waterproof construction, light and compact design, and a skin-friendly shaving head. However, there are a few new features and improvements that the Philips series 5000 body trimmer has over its predecessor. For instance, this body trimmer offers two extra combs, each trimming hair to a length of 5mm and 7mm. 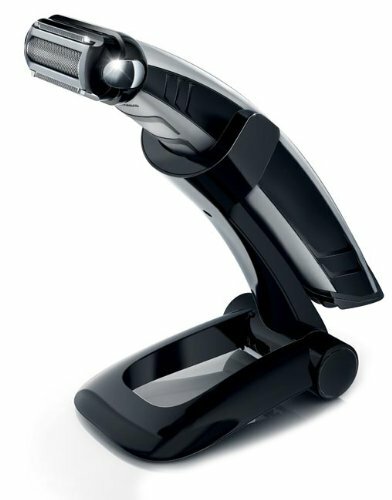 This trimmer allows you to comfortably shave all body parts including those hard to reach areas like your back and shoulders. In fact, the series 5000 body trimmer comes with a back hair attachment. Like the series 3000, this model also supports cordless operation. The biggest improvement in the series 5000, however, is charging time. With this body trimmer, it will only take 1 hour to get a full charge. The series 7000 is perhaps the best body hair trimmer from Philips. This is because it offers more convenience and ease of use than any other model in the Body Groomer line. Unlike the series 3000 and series 5000, this model doesn’t operate with combs. Instead, it has 5 integrated length settings. All you have to do is select and lock your desired cutting length. This makes shaving faster and less of a hassle when it comes to trimming body hair at different lengths. Philips designed this body trimmer with comfort and control in mind. This is quite clear when you consider the 3D pivoting head and soft touch rubber grip design. The 3-dimentioanl pivoting head adjusts to every curve on your body while the rubberized handle provides a firm grip for ultimate control. Despite adding some improvements to this model, Philips still kept standard features from previous models in the line. This includes a waterproof body, storage/charging stand, battery light indicator, as well as a hypo allergic and pearl tipped shaving head. While this list only represents a fraction of the many body trimmers that are out there, it will help you narrow down to some of the top models available in the market. Remember that the best body hair trimmer should be within your price range and have all the features you need for convenient and easy grooming. Therefore, take the time to compare features and prices before deciding on which body trimmer would be the best choice for your needs.